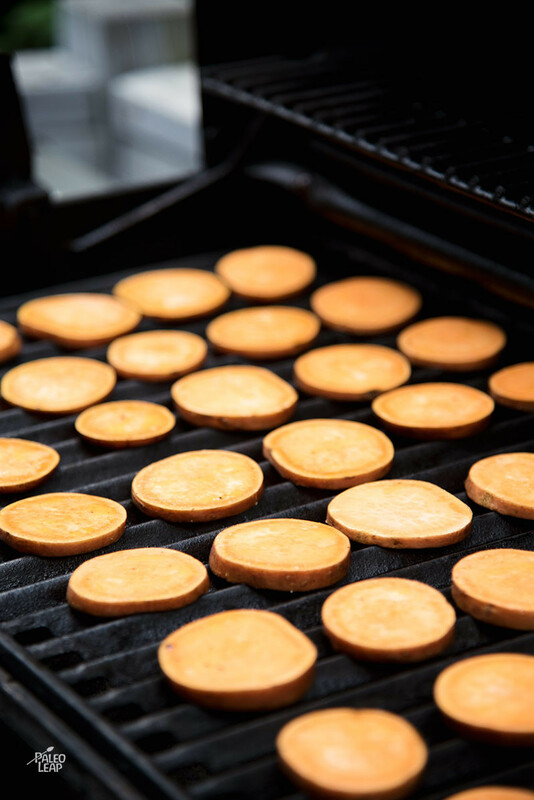 If you’re not huge on fries, here’s a tasty substitute that treats sweet potatoes more like any other vegetable that you grill – get those delicious charred grill marks, with some spicy flavor from chili-infused ghee, but without feeling like you’re eating fries. And like other grilled vegetables, they’re super-easy to just toss on alongside your protein and then take off at the same time; there’s no extra cooking-related clean-up. These would be delicious served alongside a burger or a grilled steak, or just about anything else you make on the barbecue. They’re an easy finger-food for kids, and they’re tasty with all kinds of dipping sauces (ketchup, BBQ sauce, Ranch dressing…), if that’s the way you want to take them. If you wind up with leftovers, they’re a nice addition to a frittata or a dish like this one – the grill adds some extra flavor, so using grilled potatoes in the final dish makes it even tastier. 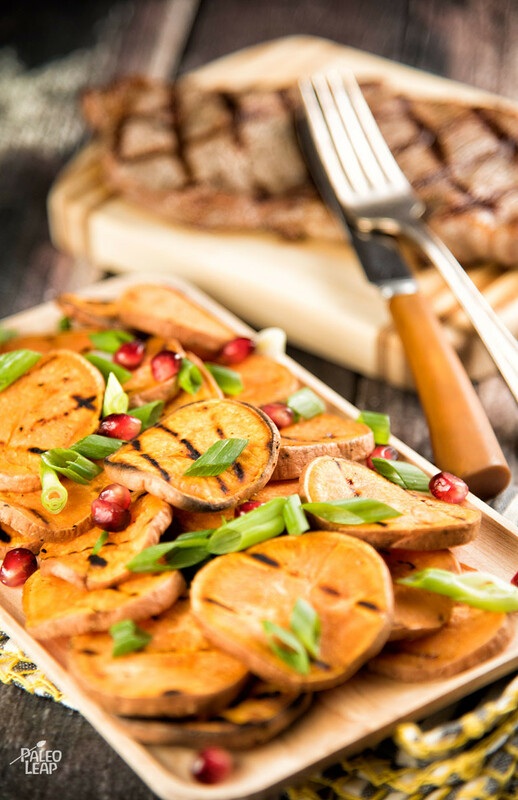 Or just warm them up and enjoy – they’re fast and portable, and a tasty substitute for the familiar post-workout baked sweet potato. In a bowl, combine the melted fat with the chilli powder, and season to taste with salt and pepper. Toss the sliced potatoes in the bowl with the melted fat, making sure they are well coated. Place the sliced potatoes on the grill and cook for 4 to 5 minutes on each side. Remove from grill and sprinkle the green onions on top. Optionally, top with fresh fruit before serving.